Minimum size constraints mean council pension funds often struggle to justify investing in small infrastructure projects that deliver a social benefit for their stakeholders. The problem can only get worse as funds’ assets are pooled into collective investment vehicles. As well as only representing a very small part of a larger scheme’s assets, and therefore having a limited impact on total returns, the administrative costs of impact investments could put a disproportionate burden to collective investment vehicles. Without agreement between funds in a CIV on the necessary degree of an asset’s ESG impact, there is a danger that some CIV partners will feel they are subsidising those who favour greater social impact. To continue backing projects that offer a positive social impact on a fair basis, there is only one cost-effective solution: to allow LGPS funds to forge partnerships with specialist managers. 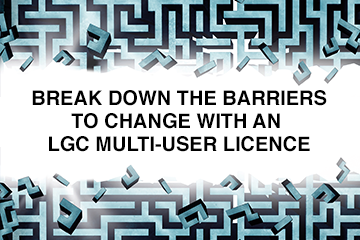 The aim of consolidating LGPS funds goes beyond saving on management costs and fees. It is part of the government’s wider plans to invest more money in infrastructure projects across the UK with a ticket size typically of £100m. Small funds “lack the expertise” to invest in infrastructure, the government said in 2015. While there is some truth to this, especially in terms of councils not having the financial resources to employ experienced managers to oversee such projects, the outcome of pooling will inevitably undermine smallscale, local infrastructure projects. Directing £20m or even less to a local housing scheme or electric car charging points will not be a viable option for some funds but these are projects that can generate a good return and benefit local residents. To access small infrastructure investments, the pooled funds would also need to hire a specialist team, thereby increasing management costs. Even if they did invest in smallscale projects, a council would have no guarantee that the pooled funds would invest in enough local projects to benefit their constituents. All of this goes against a trend that favours an increase in socially or environmentally beneficial investing for pension funds. A recent survey by the Local Government Association showed that 67% of respondents believed councils should not invest their pensions in areas that had a negative social or environmental impact or did not match their values. For instance, in 2016 Waltham Forest LBC’s fund committed to being the first in the UK to go fossil-free, while many more have increased their investments in low-carbon and ethical funds. It may not be easy to persuade a pooled fund to buy into local initiatives such as these. According to research by State Street, local government pension managers in the UK have increased their allocations to alternative investments such as infrastructure, innovation space and specialist housing recently; by as much as two thirds in three years. There is potential to do more. Herein lies the opportunity for partnership. Following their pooling, LGPS funds can retain ‘local’ assets outside the pool and co-invest in local projects through a partnership with a specialist entity. They would need to access research teams and fund managers that can facilitate onerous due diligence processes, allocate capital to smaller scale infrastructure projects, and drive value through expert management. This kind of co-investment would also allow increased discretion on a deal-by-deal basis so local authorities could choose to allocated funds to projects that sit in their own back yard. Earlier this year Berkshire Pension Fund confirmed it would be the cornerstone investor to specialist asset manager Gresham House’s British Strategic Investment Fund. This fund is part of a platform designed specifically for LGPS funds and other institutions to generate sustainable attractive returns through smaller scale alternative and illiquid infrastructure and housing investments. The British Strategic Investment Fund answers a question that until now has been left unanswered within the current pooling discussions: will pension pools mean the end of investing locally and regionally? It does not need to be the case. A group of pension funds has negotiated a joint contract with UBS Asset Management to run £11bn of its investments outside of a formal pooling structure. Council pension funds could face a large tax bill as a direct result of the government’s pooling initiative. Berkshire Pension Fund has defied government orders on pooling by planning to pool just a third of its assets initially and stating that it will only “take into account” pooling as an option for any new investments. Innovations in sustainable investment solutions in recent years have looked to address rising market demand as investor focus is shifting from risk avoidance and exclusion towards actively achieving positive impact. There has been ongoing uncertainty surrounding American depositary receipts and synthetic securities, and the lower courts’ expansive readings of the prohibition on applying US securities laws to ADRs traded in the US in the wake of Morrison v. National Australia Bank, 561 US 247 (2010).